It was a milestone. 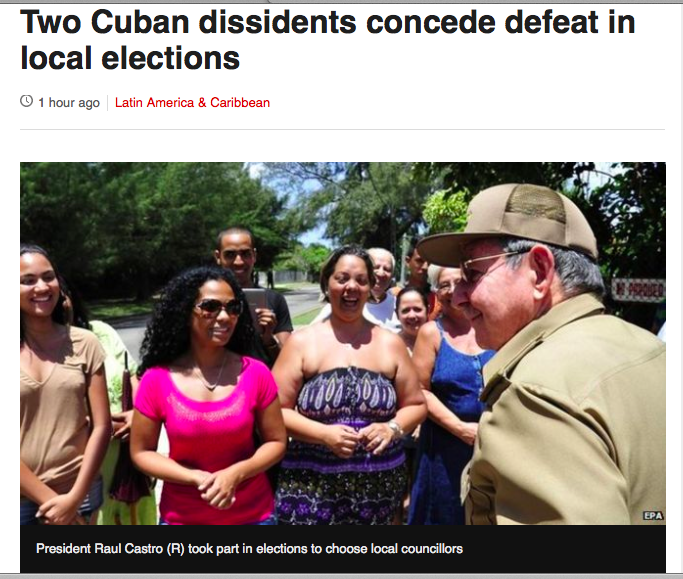 A seemingly legitimate vote included two well-known dissidents. It was just a local election, but it was the first time non-communist party candidates were on the ballot. Raul and Fidel both voted. They have both conceded defeat. But still, it was a milestone.